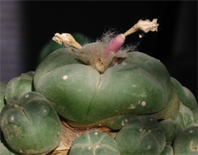 I've posted on Gerhard Köhres's Lophophora information site before, but thought it worth mentioning again. 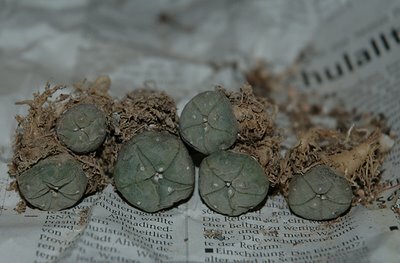 The site is packed with photos of Lophophora plants growing in habitat (see the samples included below) and constitutes the most comprehensive pictorial documentation of the genus that I'm aware of. The pictures are ordered by state and location and can be found at http://lophophora.info/. For a while I’ve been searching for L. williamsii seeds and plants originating from Trans-Pecos, Texas. It’s been quite hard to find any – probably because of the legal status of Lophophora williamsii in the USA. Earlier this year I finally found a retailer selling plants originating from material collected in the Pecos River area, Val Verde County, Texas (JJH 8608293), and promptly ordered a handful of plants. Lophophora williamsii, Pecos River, Val Verde Co. 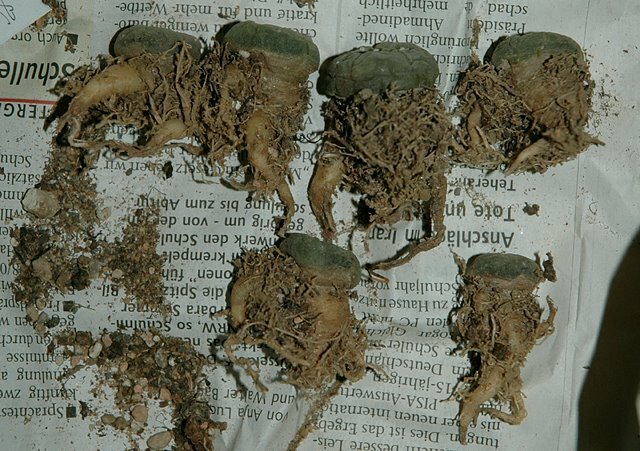 The plants have been grown very hard and are of a high quality with good, sturdy roots; the width of the plants are in the range from 1.5 to 2.25 cm (0.6-0.9''). They were reasonably priced at 4 euro (~ 5 USD) each. I recently received a second batch that I planned to grow in an unheated cold house, but I now have second thoughts and will probably postpone the cold house experiment until I’m able to propagate the plants from seed. 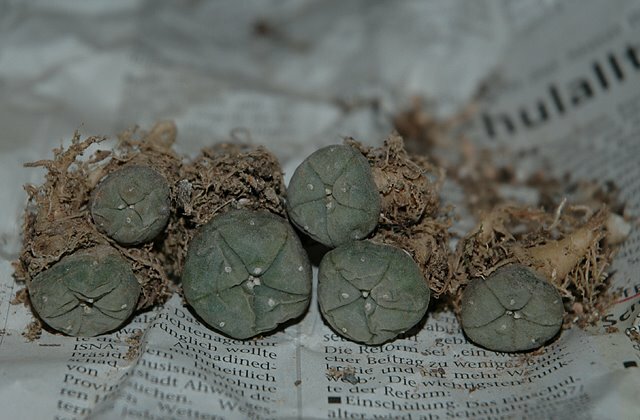 The plants were bought at Kakteen Kliem, a German retailer with a good selection of plants with locality information (I also bought some of his Lophophora fricii, Parras, Coahuila, Mexico (JJH 9602115) and Astrophytum asterias, Rio Grande City, Texas (PQ 91)). I would be glad to hear of any other sources of Trans-Pecos Lophophora with detailed locality information.